The team is definitely getting younger........what is also important to note is that the team is also moving to new player leadership......the guys that would have been team leads are leaving(Porter, Taylor), as new alpha guys are coming in(Marshall, Dansby). It will be interesting to see which players take on the leadership role for the team in 2010. I like Dansby, the guy is an all around great player, and I agree that he's the alpha on that defense now. I think guys like Bell, Ferguson, Starks, and Crowder will provide leadership, but I think Dansby will be the main man this year. The Trifect did good bringing him in. As for Marshall, I'm not sure he's going to be a lockerroom leader but he will definitely be a leader on the field. I can't wait to see him tear up our opponents this season. He's going to give Revis and Cromartie fits all year long! 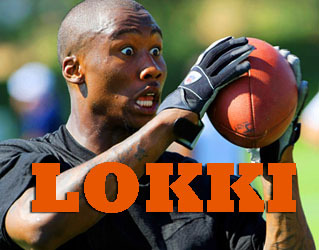 Brandon Marshall has been a consistent presence at the Dolphins' facility since his April 14 trade out of Denver. This was expected after the Fins made him among the NFL's highest paid wideouts, but Marshall is clearly happy in his new digs. Some of our initial re-draft rankings have Marshall in the top six at his position, behind Andre Johnson, Calvin Johnson, Larry Fitzgerald, Miles Austin, and Randy Moss. DeSean Jackson, Greg Jennings, and Reggie Wayne are close behind. Getting this team younger not older. It may be hard to figure what problems the Dolphins might run into with troubled superstar receiver Brandon Marshall in the long term. But so far, so good. The 26-year-old Pro Bowler reported immediately to Miami’s offseason program after the April 14 trade from the Broncos, and has been a steady presence as the team readies for the 2010 season. The Marshall trade is consistent with the Dolphins’ plan to go with a younger team, which includes the installation of 25-year-old Chad Henne at quarterback. This offseason, the Dolphins jettisoned a pair of 30-somethings (Jason Taylor, Joey Porter) and acquired two 20-somethings (Karlos Dansby, Marshall). As it stands, the roster has just seven players who will be 30 or older when the season begins, and with 35-year-old nose tackle Jason Ferguson suspended for the first game, that number dips to six likely to dress for Game 1. Second-round pick Koa Misi or seventh-rounder Chris McCoy is likely to start opposite Cameron Wake at outside linebacker, and first-rounder Jared Odrick, expected to start at defensive end, will probably carry a similarly heavy load. But overall, this retooling looks like the roster overhaul executive vice president Bill Parcells, general manager Jeff Ireland, and coach Tony Sparano helped engineer in Dallas.